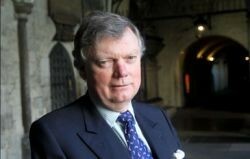 Sir Stephen is Receiver General of Westminster Abbey and Clerk to the Dean and Chapter. Before joining the Abbey, Sir Stephen, was a Group Director of the Royal Bank of Scotland, served at the United Nations, and at the British Embassies in Tehran and Rome. He has been a Deputy Lieutenant of Surrey since 2006 and has used his wealth of experience to support the Foundation since establishing.